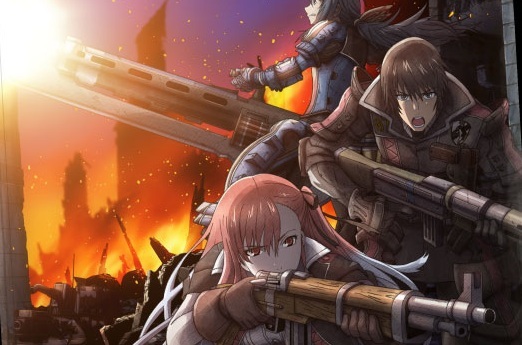 Although Valkyria Chronicles 3 on the PlayStation Portable handheld is not receiving a release outside of Japan, UDON’s book based on the artwork of the game will. Titled Valkyria Chronicles 3: Complete Artworks, it will feature 256 pages of art of the game, including character, vehicle and weapon designs, along with promotional art and more. Beyond that, the game’s full story will be detailed, creator commentary and interviews will also be included. The softcover book will be available December and will retail for 45 USD. Preorders and more details are available at UDON’s official site. Considering the unlikely nature of an English language release of Valkyria Chronicles 3 itself, fans have decided to translate the title themselves and are nearly complete. Once finished, the update will act as a patch over a Japanese retail version of the game. The entirety of the project and it’s progress can be found here. * All major staff in charge of the franchise are now part of Ryu ga Gotoku Studio. This group, similar to Sonic Team will focus soley on the Ryu ga Gotoku/Yakuza series of games and will oversee other related products. * A sequel to Kurohyou: Ryu ga Gotoku, the 2010 spinoff title for PlayStation Portable was announced for the same platform. It will feature Tatsuya the main character of the previous game, along with three other playable characters and takes place in Kansai, an important location from Yakuza 2. * Ryu ga Gotoku 5/Yakuza 5 was announced to be in development. No platforms were announced, but it can be assumed that it will be on either PlayStation 3 or PlayStation Vita. It may be that this title is the only game that will be released outside of Japan, although this and the previous statement should only be considered speculation. It is likely there will be more information regarding all of this at Tokyo Game Show 2011 in two weeks. Japanese, Nintendo DS exclusive 7th Dragon will receive a sequel on its competitor, the PlayStation Portable. The follow up to the 2009 dungeon crawler was announced today and, like the first, will be developed by Imageepoch. Returning to her role as producer and composer are Rieko Kodama and Yuzo Koshiro respectively. As with its predecessor, there are no plans for a Western release. The game is out this Autumn.